By 2004 George and Susie decided it was time to move to a larger facility and hire some extra hands to help meet the growing demand. With the move to Rowena Street in East Bendigo they built two small greenhouses with a seeding and potting area. With more space, they noticed a greater market for micro herbs, expanding to grow a greater variety of micro herbs from start to finish on the single site. The need for specialist equipment was met with the building of a larger seeding and potting shed and new staff to take on the increased workload. By this stage the products were being purchased not only at the Melbourne fruit and vegetable markets but all around the state and branching out across Australia. With a love for food, the business always had great connections with the local chefs who use the products grown in their backyard, the range continued to grow with Bendigo’s most renowned chefs making requests for herbs unavailable anywhere else in Australia. As the requests continued, the pressure for more space was felt again. 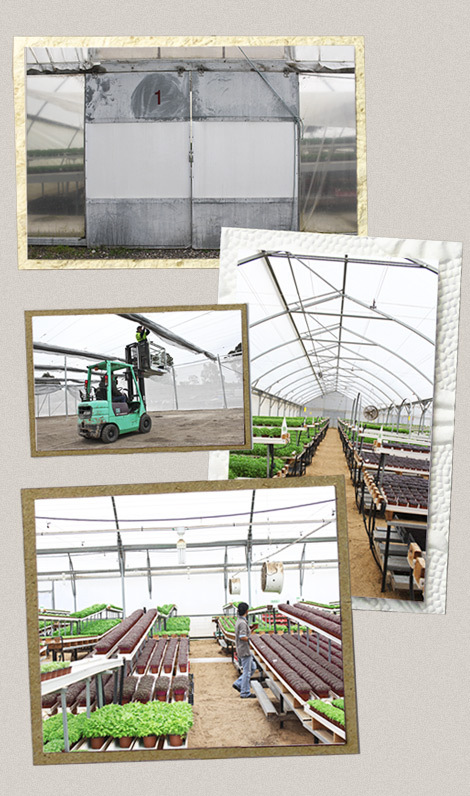 Building the largest greenhouse yet, along with an office, staff room and facilities, the staff continued to grow and soon B&B Basil employed up to 30 people. Some of the newest innovations beginning to be adopted include, Earth friendly methods of agriculture, solar power, alternative ways to heat the greenhouses and a light weight synthetic soil that is perfect for export.